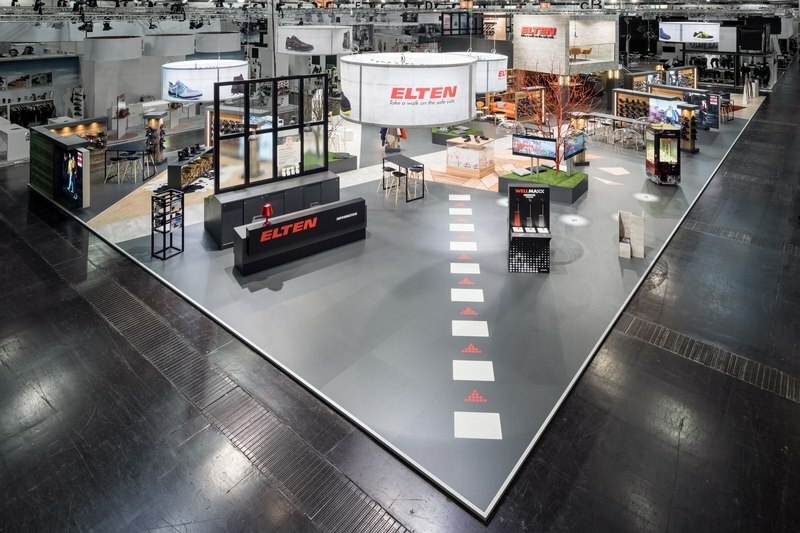 It would take twelve hours to see all the safety shoes on display at this year's Elten stand at A+A for just one minute. 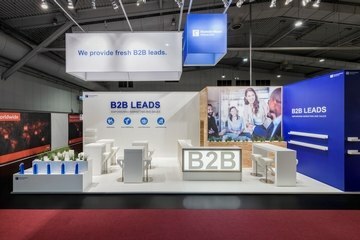 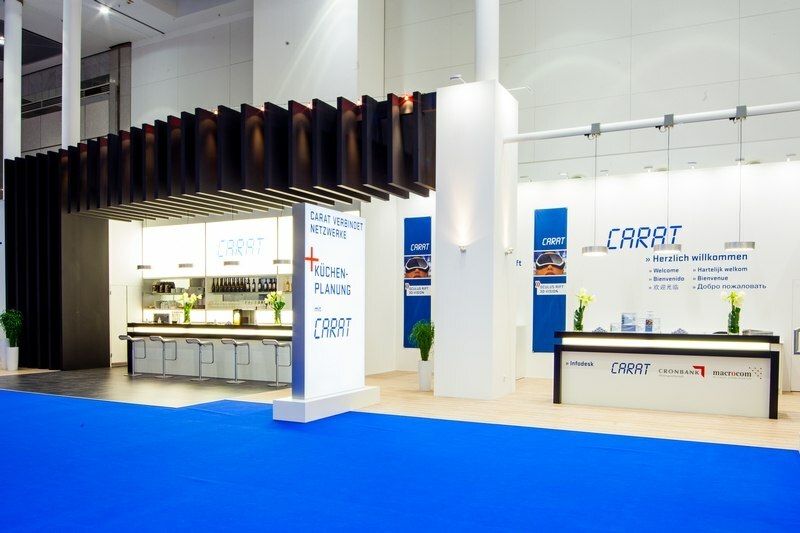 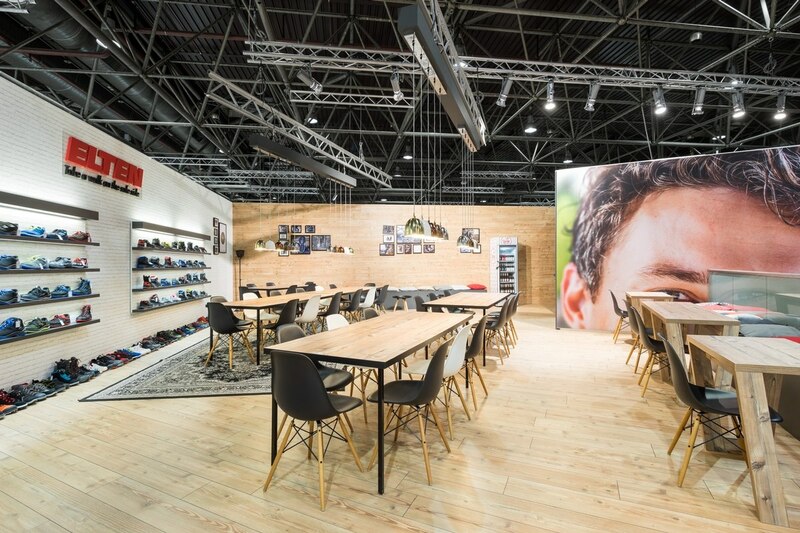 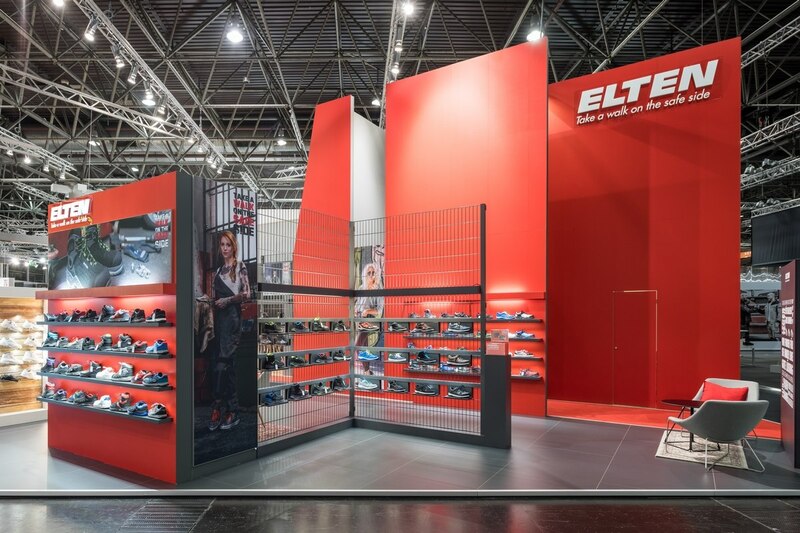 However, despite the opulent product presentation of 723 shoes, the stand looks transparent and tidy. 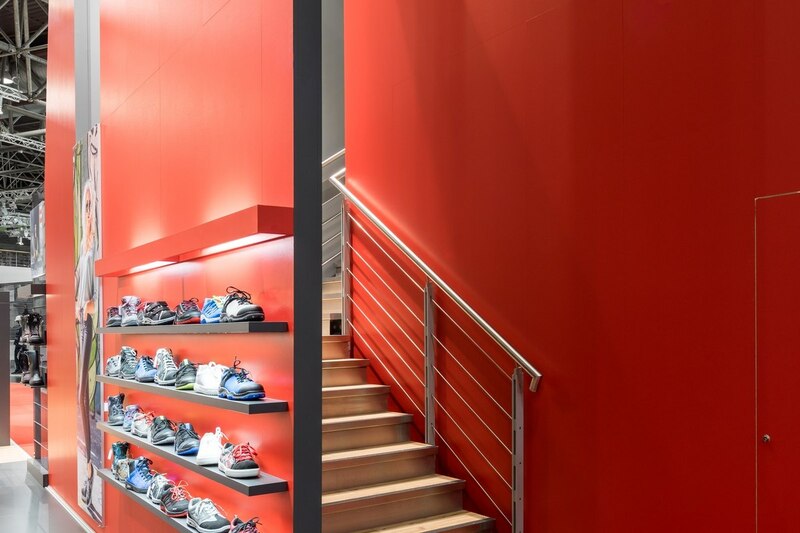 This impression is not least due to black building fences, which serve a large part of the exhibited shoes as filigree presentation displays of rough industrial charm. 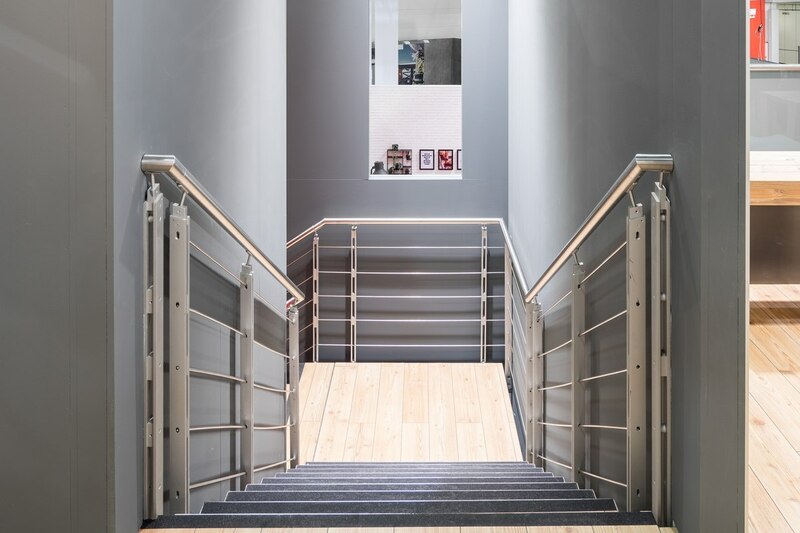 And of course, the double-decker offers plenty of space in addition to its representative effect. 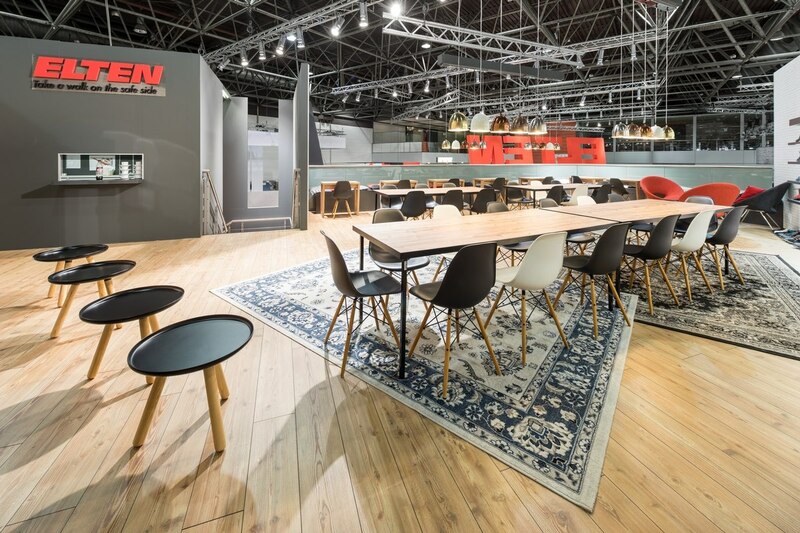 Various seating areas with couches and armchairs on warming kilim look hospitable and almost like guests in a living room. 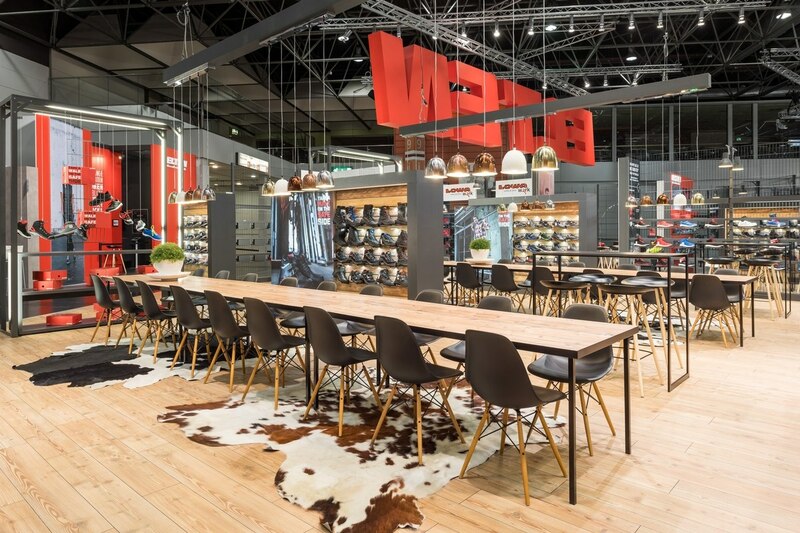 At extra-long, unconventional wooden tables with metal ball lamps hanging above them, visitors can be informed about the latest models of safety shoes with a good cup of latte macchiato. 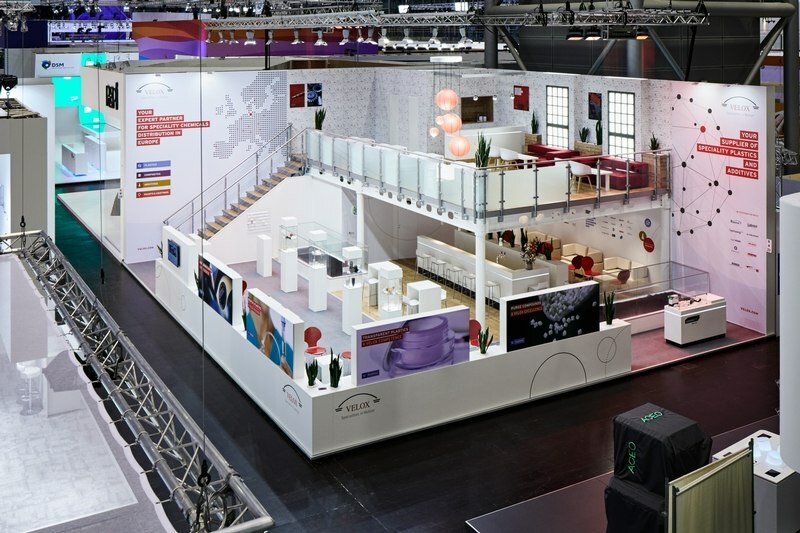 And if you want to know more about smart ideas of the future, you can visit the Innovationbox, a kind of research laboratory, which is set up opposite the booth. Here you can see the models that are still under development. 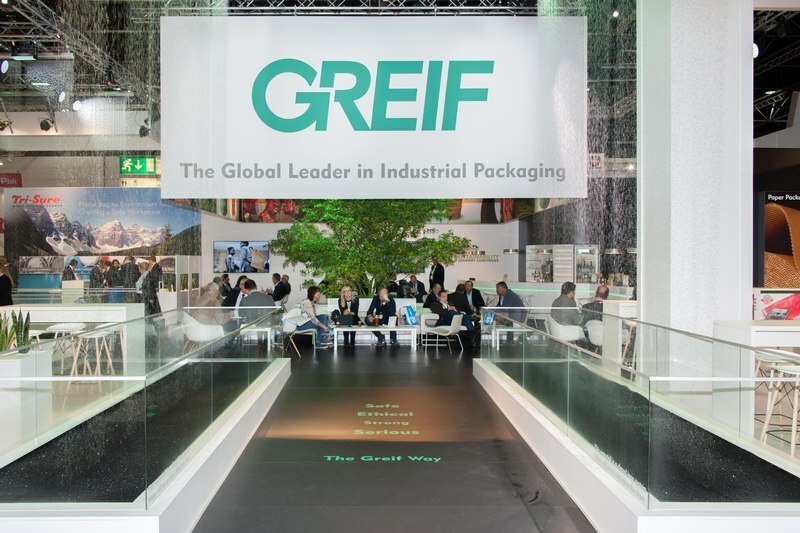 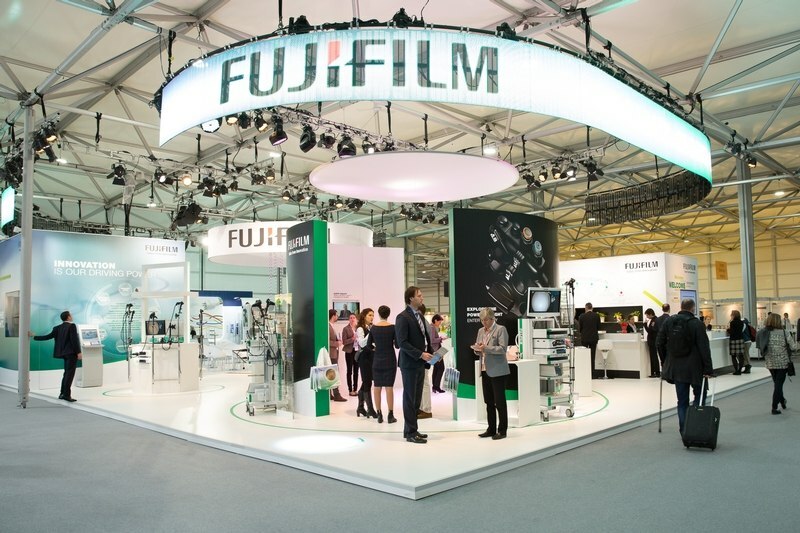 An idea that is well received by the audience: long lines of queues in front of the Innovation Box are proof of the great interest in this special show. 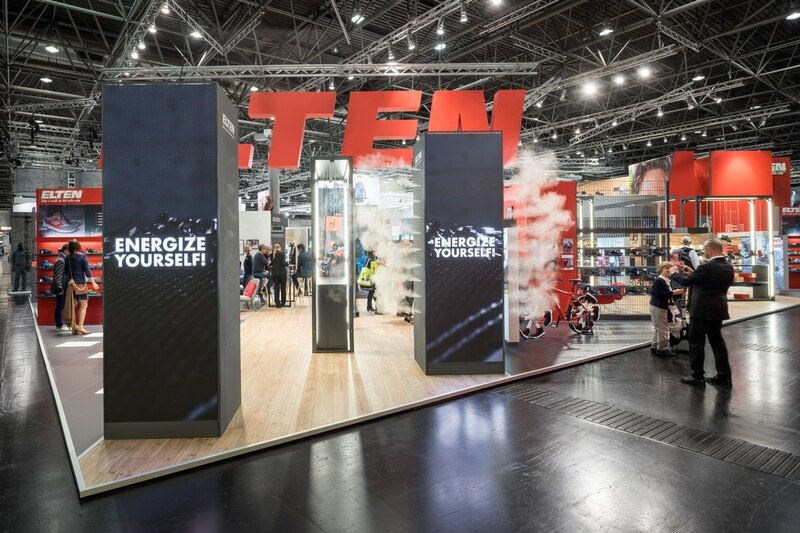 The LED columns, which not only show films and animations but can also let off steam properly, also attract attention. 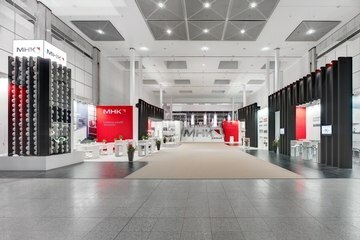 A spectacular scene that is worth a photo for many visitors to the fair. 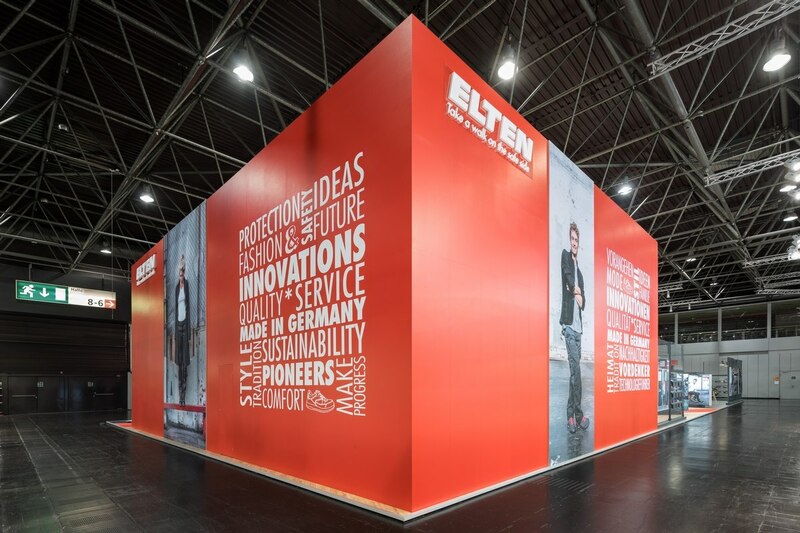 And above all the many amazing details, the logo of Elten is visible from afar: red, three-dimensional and man-high. 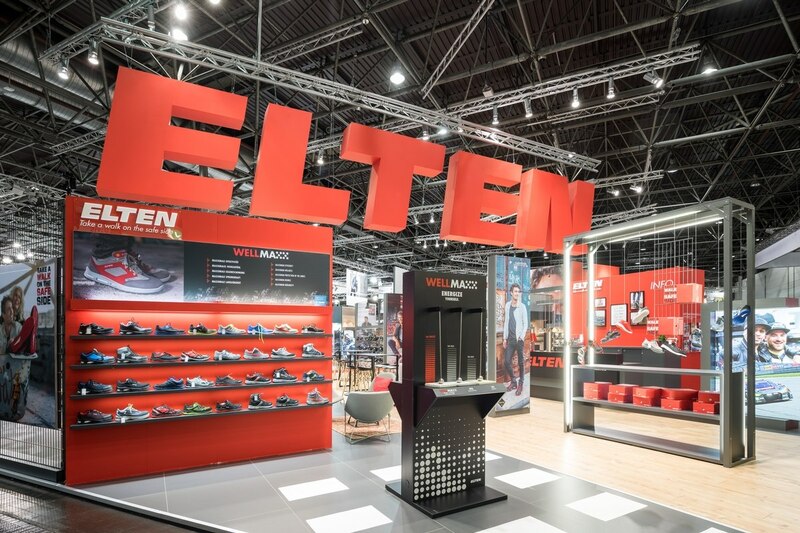 With an annual production of around two million pairs of shoes, Elten GmbH is one of the leading manufacturers of modern and functional safety shoes. 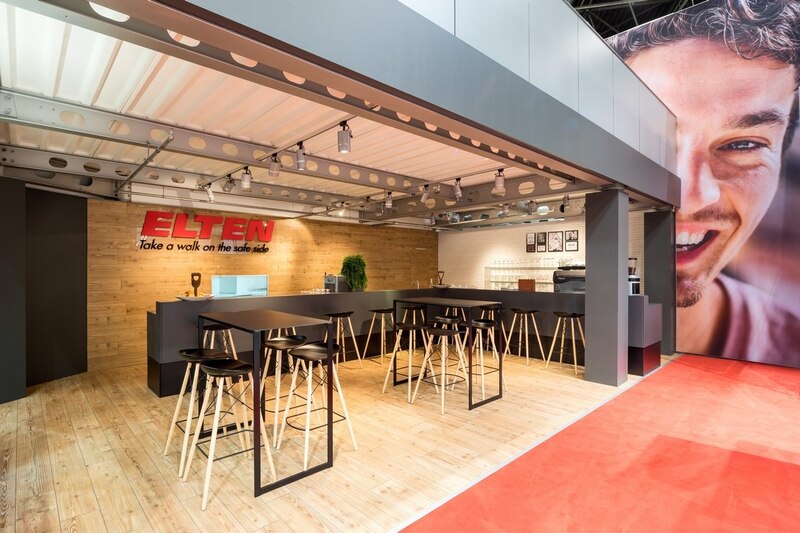 At the Uedem site in the Lower Rhine region, over 260 employees work to ensure that end customers from industry, commerce, trade, trade and institutions continue to be supplied with quality products from the long-established company Elten via the specialist trade. 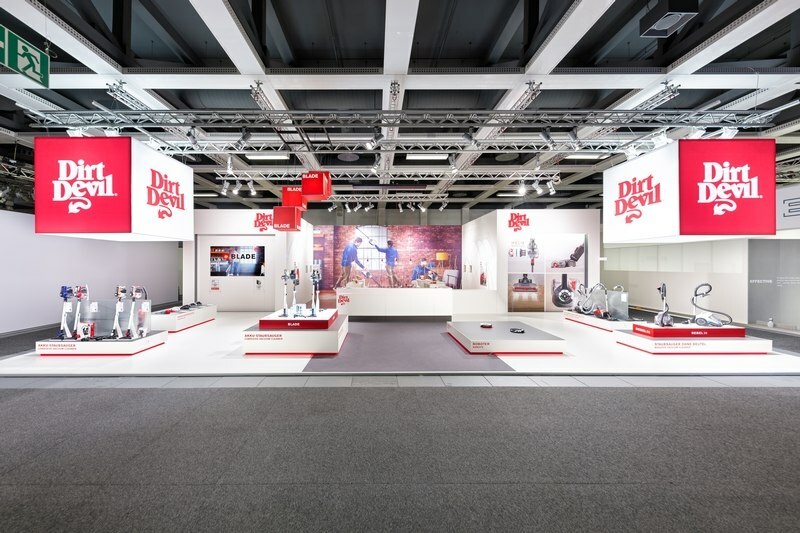 A+A is the world's leading trade fair for safe and healthy working, which takes place every two years at the Düsseldorf exhibition grounds. 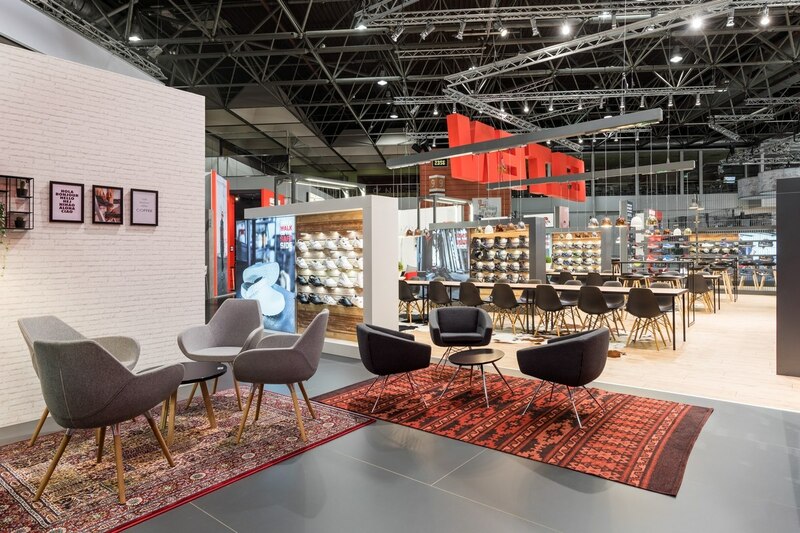 With 67.000 trade visitors from 100 nations, this year's A+A surpassed the previous event from 2015.1.931 exhibitors in total are very satisfied with the results of the trade fair after the four running days. 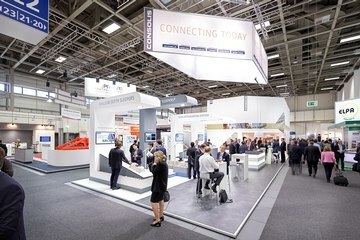 The final report of the fair even states that the mood is "excellent".